The Ocean Tides School Providence Campus is an alternative day school for students in grades seven through twelve. Offering a full high school Rhode Island Regents diploma, the school is licensed by the Rhode Island Department of Education (RIDE) and accredited by the New England Association of Schools and Colleges (NEASC). Additionally, the Providence Campus offers a certified special education program and a career/technical education program. The student body at the Providence Campus is comprised of students referred by their school district for educational purposes (both regular and special education) and career/technical training. Each candidate is screened by the Director of Special Education and the Principal before admittance to ensure the student is ready and willing to enter the program. Given the severe educational difficulties these students have experienced in the past, Ocean Tides seeks to provide creative, individualized programs that meet the needs of all students. Credit Analysis which will indicate correct grade level, course work and possible need for credit recovery through GradPoint. 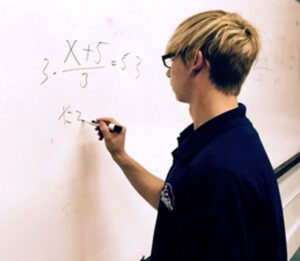 The Ocean Tides School offers Career/Technical education at the Providence Campus. Students are involved in areas such as: Culinary Arts, Carpentry/Woodworking, Landscape Design, Engineering, and Technology. Ocean Tides is partnered with the Community College of Rhode Island (CCRI) for the areas of Engineering and Technology.